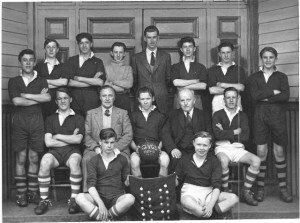 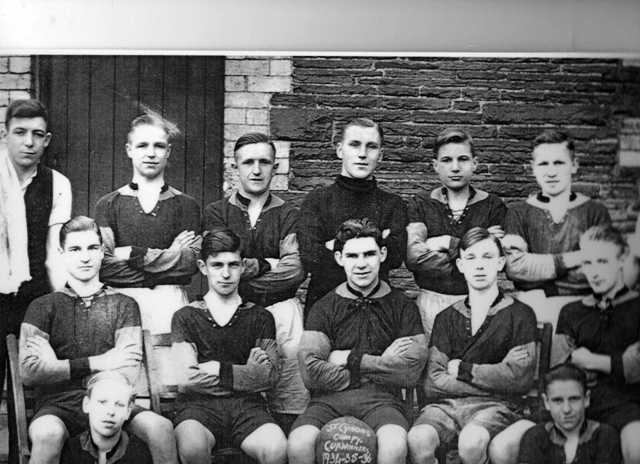 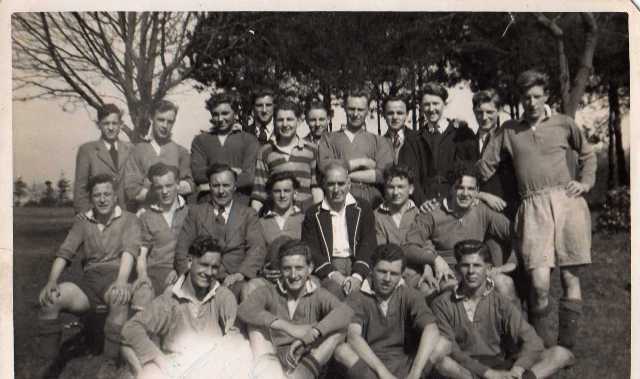 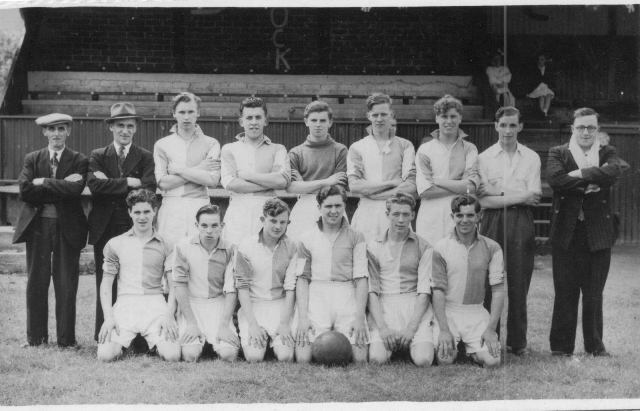 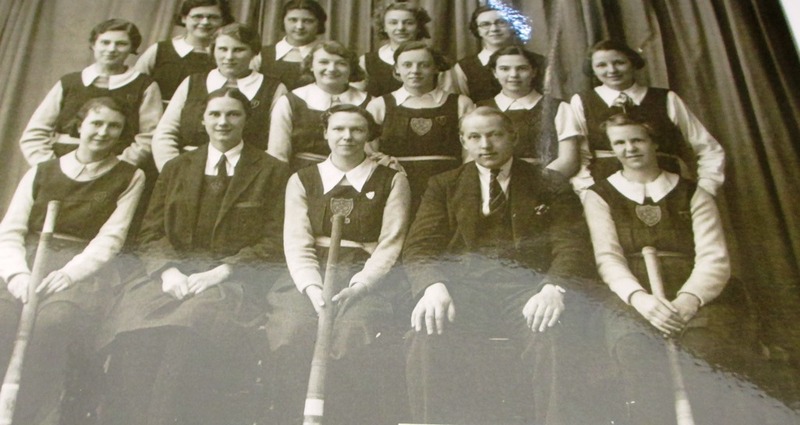 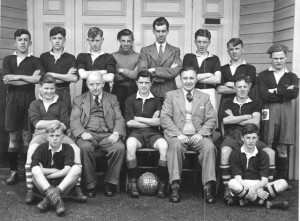 On the far left seated arms folded is John Jones (Joss) and at the other end of the seated row is Ken Evans (Charlie). 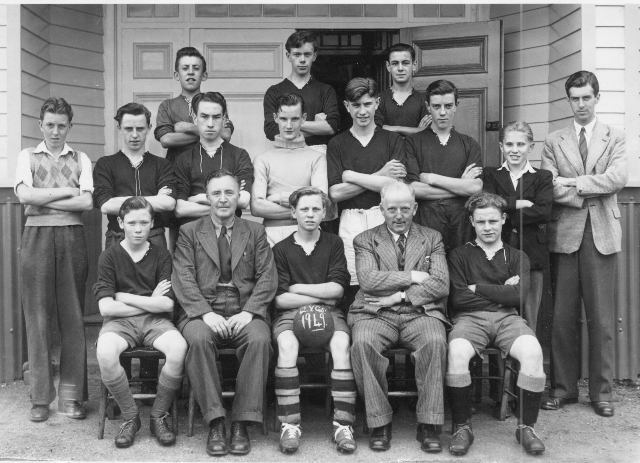 They both represented Wales at under 14 level. 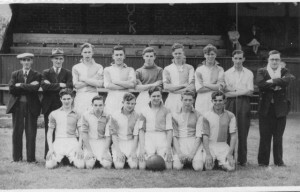 Brian Davies, Glyn Humphreys?, Sid Harris, Dave Thomas, Ron Davies. 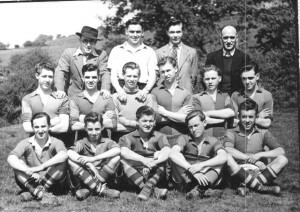 Below is another team from Woodlands Quakers Yard 1953 (courtesy of Ron Davies) We played a friendly at Llanidloes, Ron apologises for forgetting a lot of the names but to be fair it was over 50 years ago! 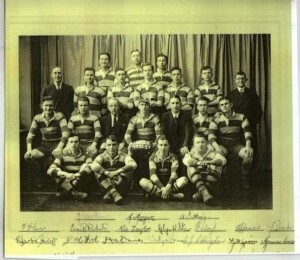 Their autographs are on the photograph, does anyone know any of the players? 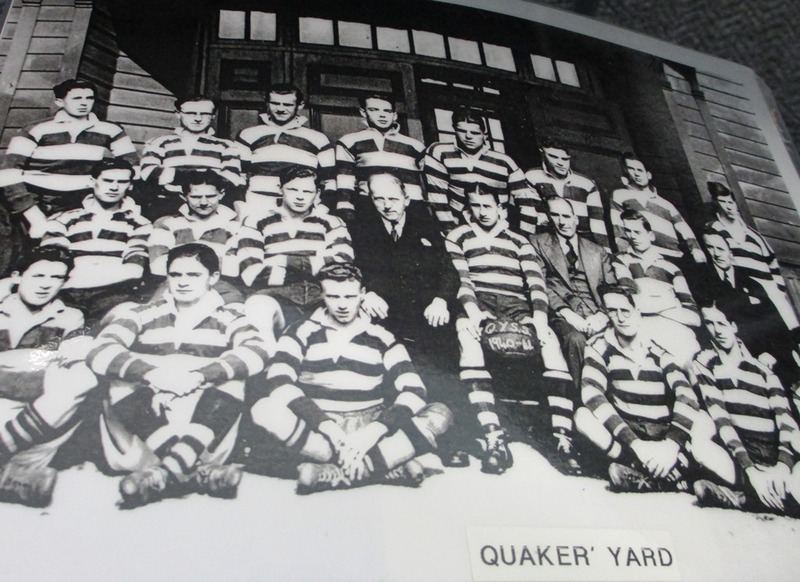 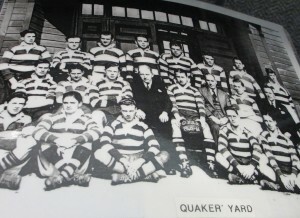 Quakers Yard grammar School always had a top class Rugby team. 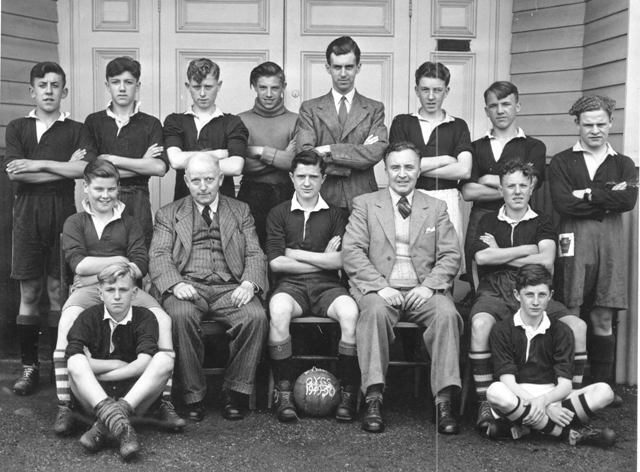 We do not know the identity of all the above but here are some of the names. far left Russell Pittick( Edwardsville) far right John Hopkin, Shoe shop, Fox Street. 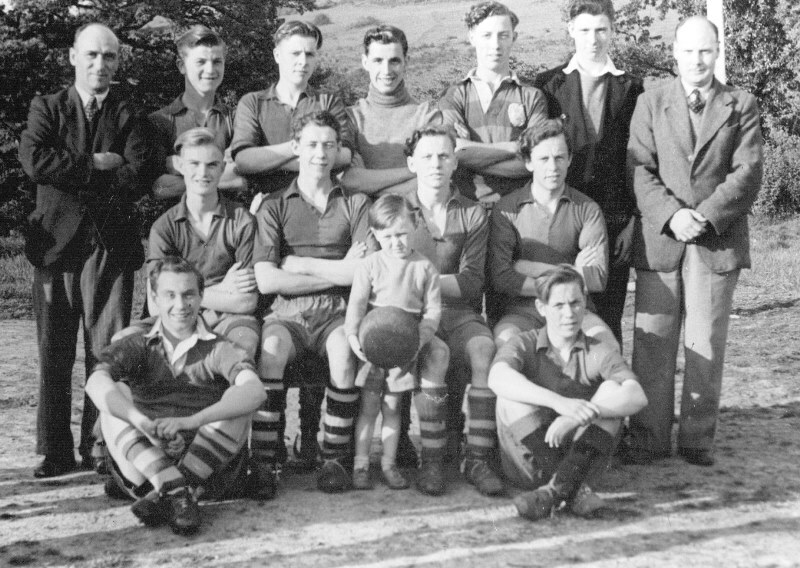 Cyril Sloggett (Mary St) third from left, next to him in a striped shirt is Haulwyn Griffiths of Cilhaul, next is Colin Evans of Fell Street, next, not in a kit is Henry Perrin of Suzzanah Place, then standing with his arm on the shoulder of Aldo is Gwillym Edwards of the Commercial Hotel. 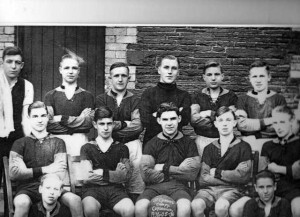 first on left is John Lewis of John Street.